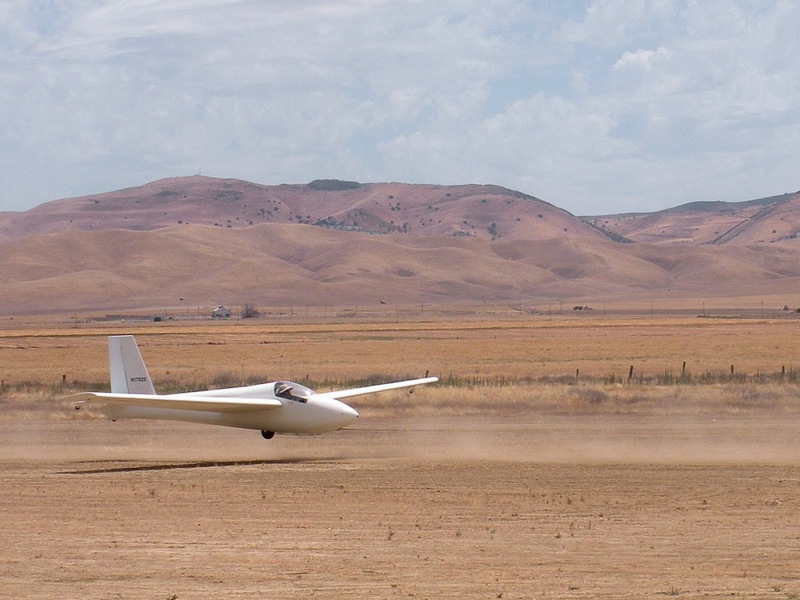 Central California Soaring Association: SATURDAY, June 11, 2016. Drifting lift and 23 tows. SATURDAY, June 11, 2016. Drifting lift and 23 tows. Wind: N @ 8 kts, slowed later. Time Aloft: 1.2 hrs. Peter Sahlberg. Max Lift: 8 kts but mostly 4-6 kts. Comment: Few high performance ships aloft. 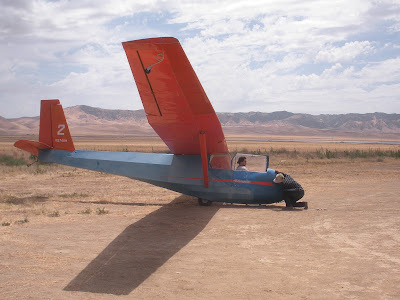 Tow pilot: Peter Mersino with 23 tows. CLICK ON ANY PHOTO FOR LARGE SIZES OF ALL. An unusual day with very few high performance ships being flown. The weather was a most comfortable cool day, interesting cloud formations, with cloud shadows drifting across the valley most of the day. That made for drifting lift or bubbles of lift cutoff by the changing sunshine on the ground. 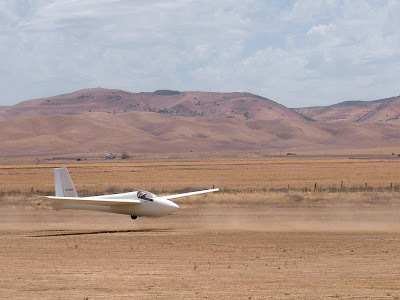 Peter Sahlberg's 1-35 was the only high performance sailplane flown today. Both 2-33's were in use almost the entire day, as noted by the number of tows. The 1-26 also was flown quite a bit but there were periods of inactivity for it as well. Rick and Melissa Eason arrived early so that Rick could take Melissa up early before the air got too rough. Melissa had trepidations about going up in an aircraft without an engine but after some discussion it appeared she was calm enough to go forward. After the flight she really was smiling and announced that it was a rather interesting experience seeming to be floating in the sky. I'm now sure she'll fly again with Rick since this was so nice an experience. Rick himself contributed to her comfort, not making any unusual maneuvers, no steep banks, no deep thermalling turns, etc. That was clearly the right thing to do for Melissa. 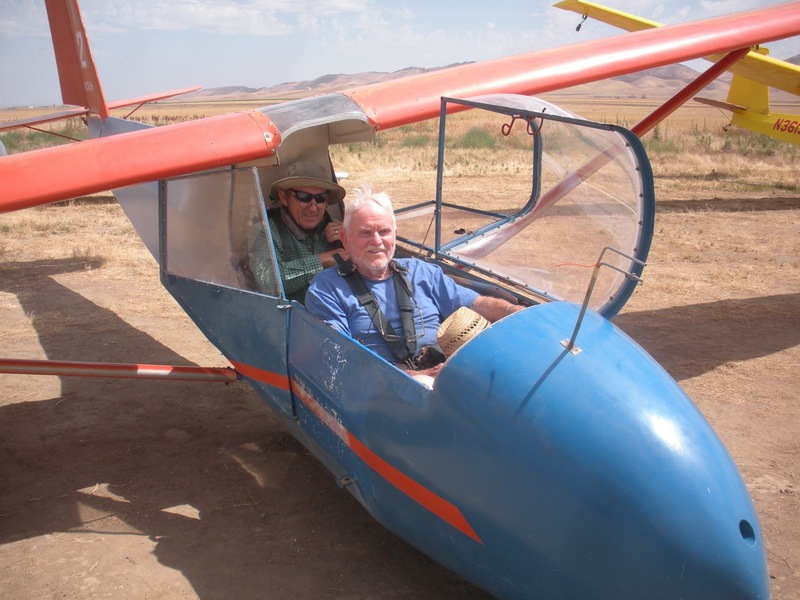 One new demo flight was completed with Ken Morrison from Lemoore NAS who appeared to enjoy the experience, a first time for him in a glider. 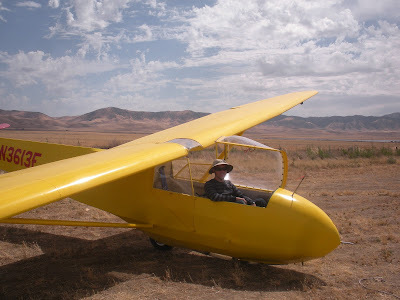 It might be enough for him to work on his Commercial Glider add-on rating this summer. Clark Woolf is moving along, now rapidly, toward his solo flight in July. 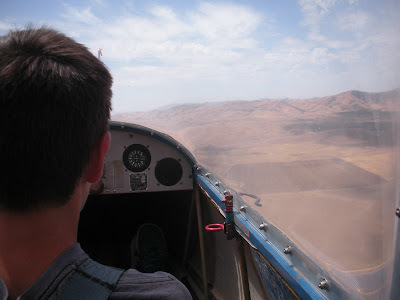 On one flight alone, we accomplished three wake boxings, and six stall recoveries in addition to steep turns, and slow flight. 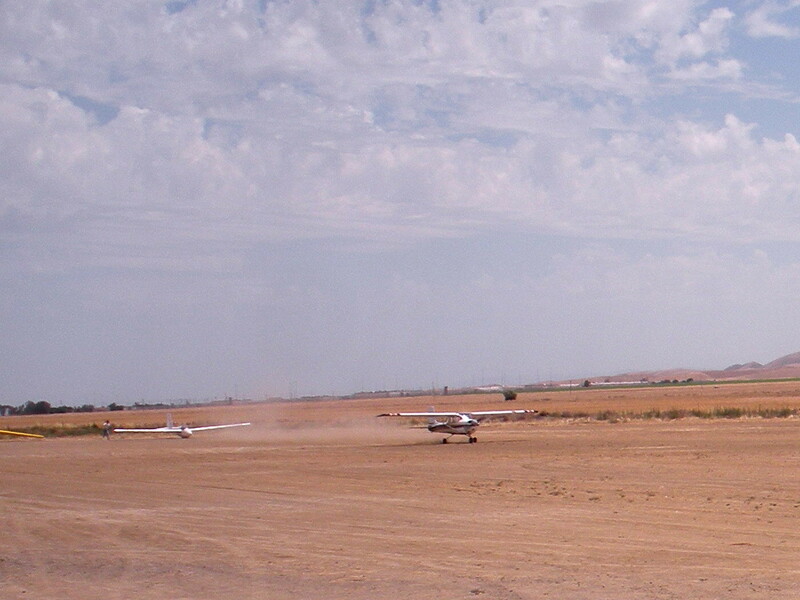 He did very well and finished with a pattern tow in prep for his solo flights. 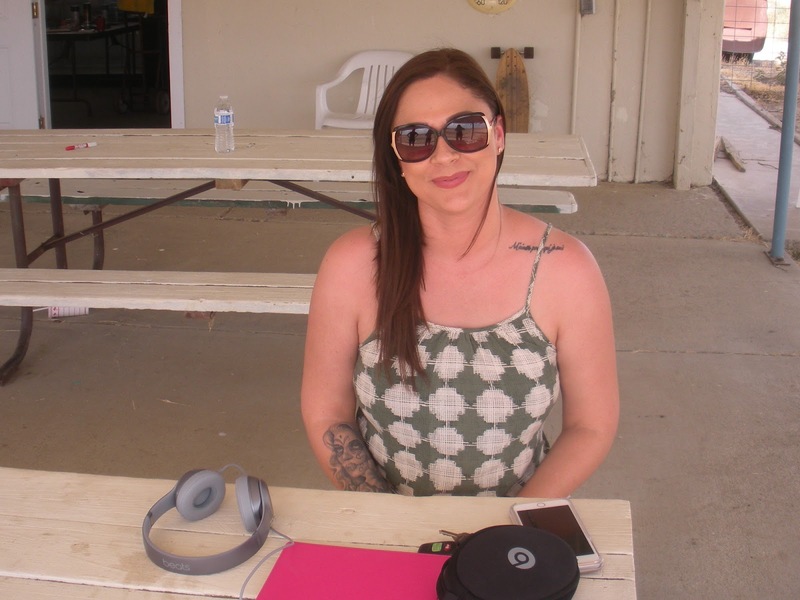 Joaquin Riviera brought his beautiful wife, Ariana, to the gliderport, to watch his training flights. 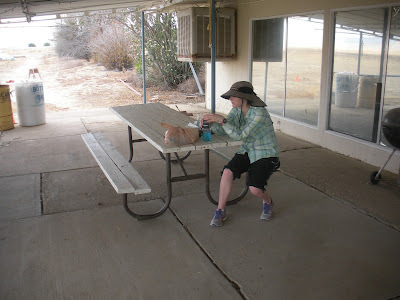 She appeared to be most comfortable reading a book on the patio. 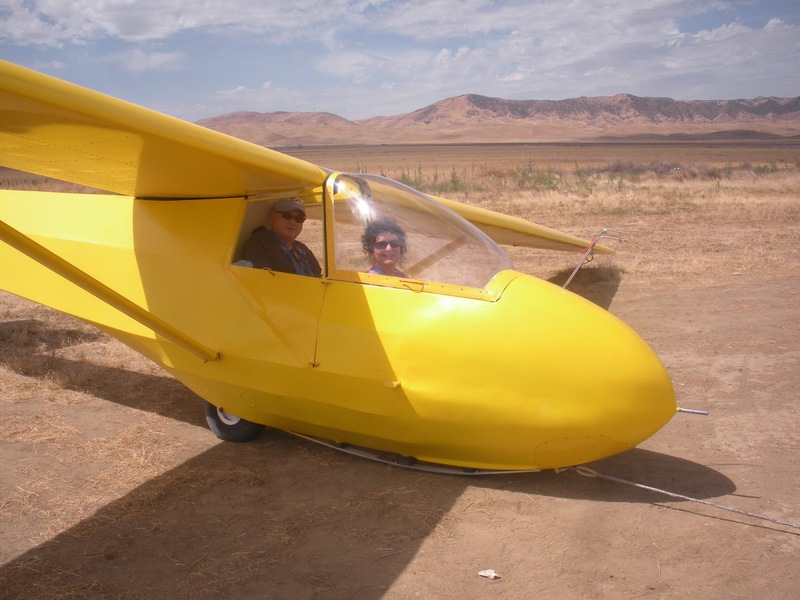 Maybe next time she'll go for a demo flight. 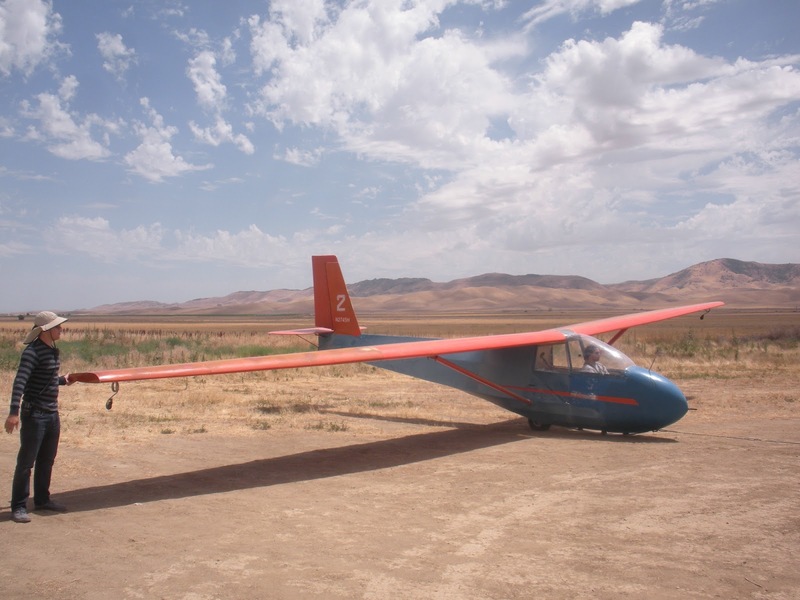 Peter Sahlberg and his daughter, Jamie, were on hand, with Jamie driving the pickup truck around, helping move his glider to the launch area, and also retrieving landed gliders. Peter had the longest time aloft and highest altitude attained, although with the lift moving around with the cloud shadows, it was a bit harder getting any higher. 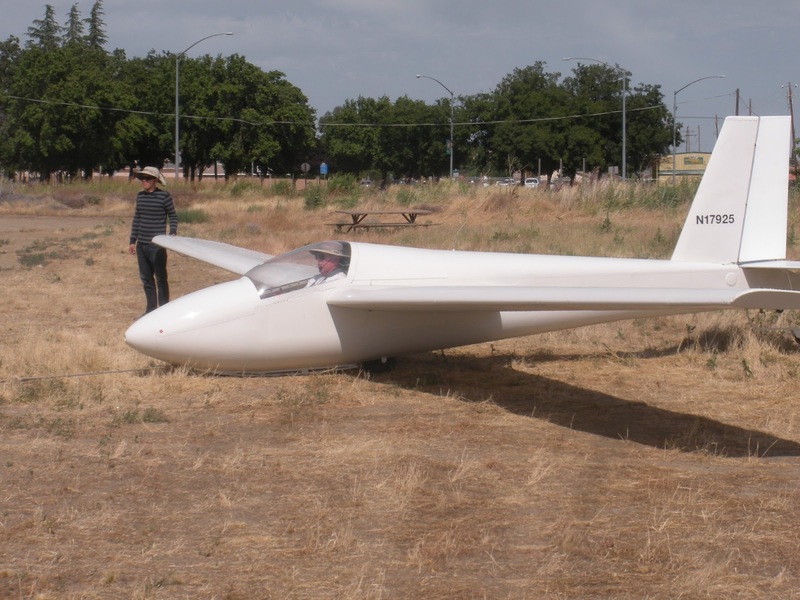 Sergio Grajeda flew a number of flights in the 2-33 as did Andy Reistetter. 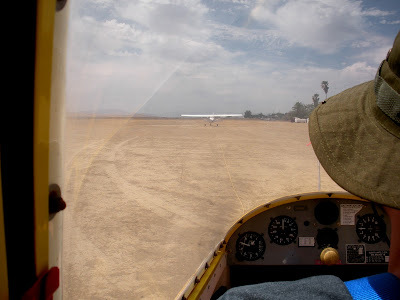 Late in the afternoon, Troy Wollman and I flew two checkride flights in preparation for what we expect will be his checkride day on June 27th. 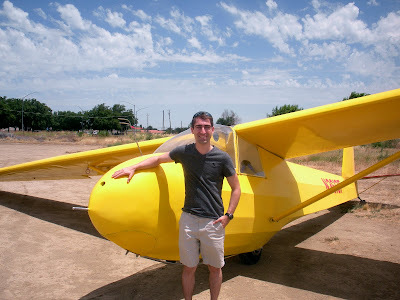 Alex Caldwell had several flights, the latest with a gentleman who appeared at our clubhouse inquiring about a demo flight. I know him only as Berle, and I'm not even sure of that spelling. 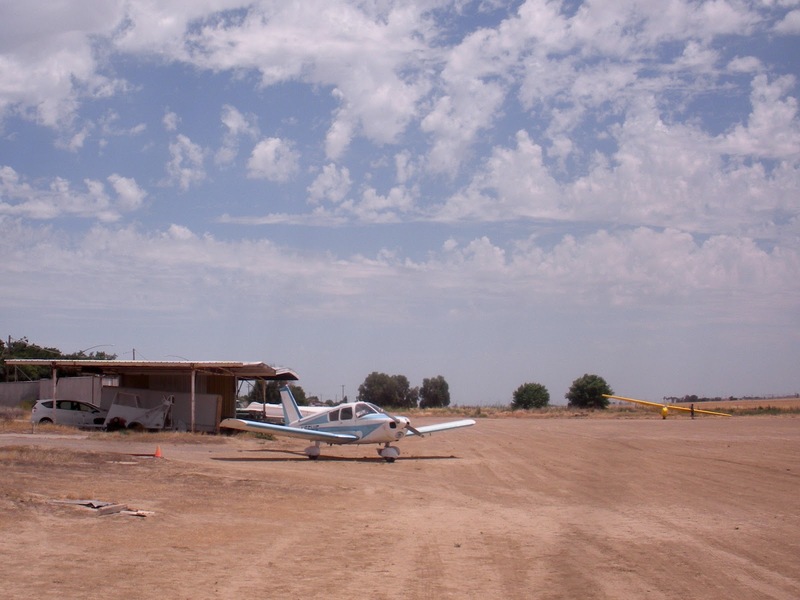 Maybe later on Alex will regale us with his dead stick landing at Avenal while flying his RV-3 in from Tulare. 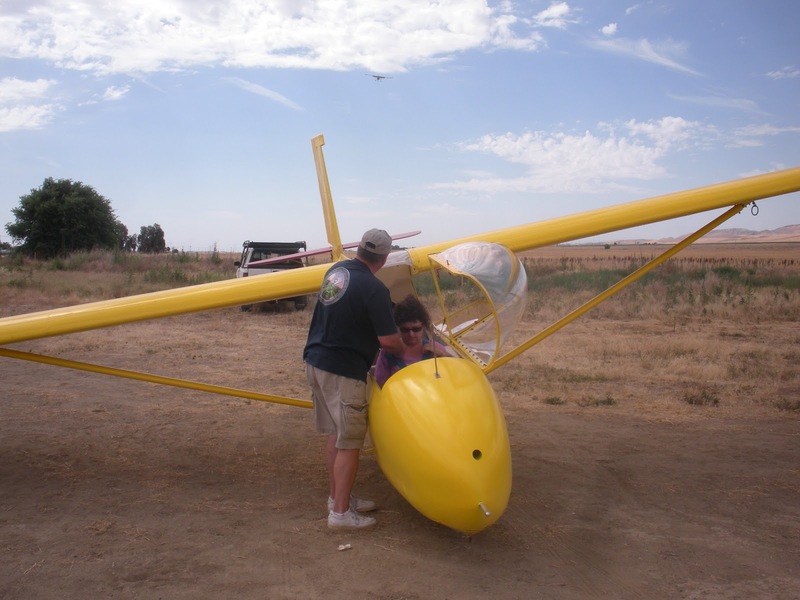 Jim Rickey, as is his custom, waited until everyone else had flown before he chose the glider he wanted and selected the 1-26. Trouble is, by that time in late afternoon, the lift had mostly faded due to the continuing overdevelopment and very cool conditions. His return was too soon but he likes flying regardless. I think one of the most interesting stories is about Peter Mersino and his 23 tows. 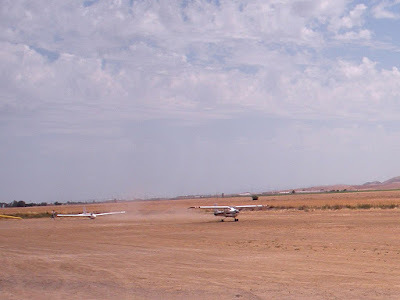 I don't remember him getting out of the towplane from 10:30 am until 5:00 pm except once, and then once for refueling. 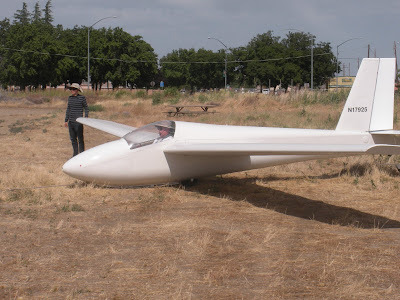 It seemed like he kept going all day long, and there were hardly any short tows to speed the process, most being 2000 or 3000 agl. He deserves kudos for that performance and plans on doing it again tomorrow, Sunday. Now that's CCSC dedication. Thanks from all of us, Peter. The name of the nice gentleman that took the demo ride on Saturday is Berle Allison. He's 85 years old and lives in Exeter. 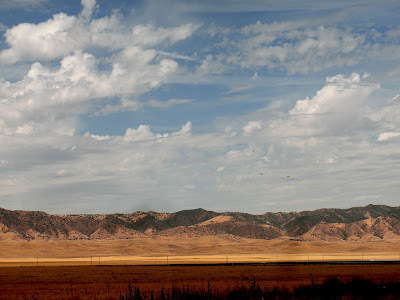 He was out for a drive and was going to go to get something to eat at Kettleman City, but decided to drive over the hills from I-5 to Avenal because he hadn't been here before. 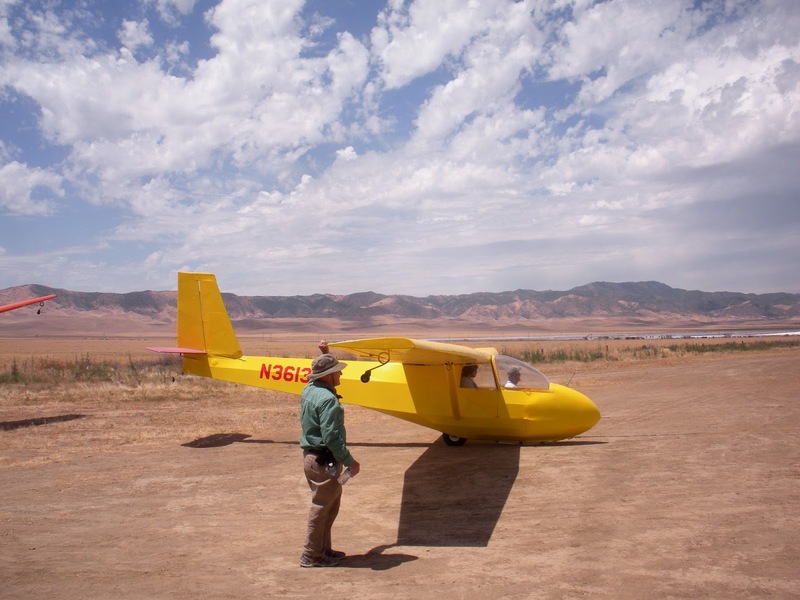 He saw the gliders and decided to stop and see what was going on. He was a teacher, mainly of industrial arts, for much of his career. He also did many other things, including working on light aircraft, such as J-3 Cubs, overhauling engines and recovering them etc.. This was back in the years just after WWII. 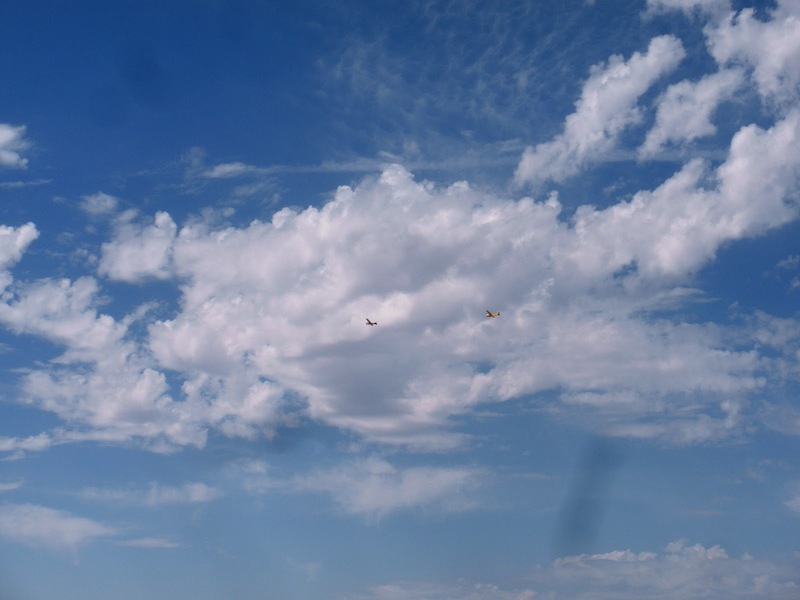 He said at that time, it was thought that every family would get a plane, and there was much more interest in flying, with a lot of pilots coming back after WWII. He had about 40 hours flying time, and soled in Cubs back then, but didn't finish getting his license. He was a little to young to serve in WWII but he served in the military in the Air Force during the Korean War Era, and was stationed in Texas. He was born in Texas, but has lived most of his adult life in California, which he prefers to Texas. Rick helping his wife, Melissa get belted in, oblivious to the landing towplane. 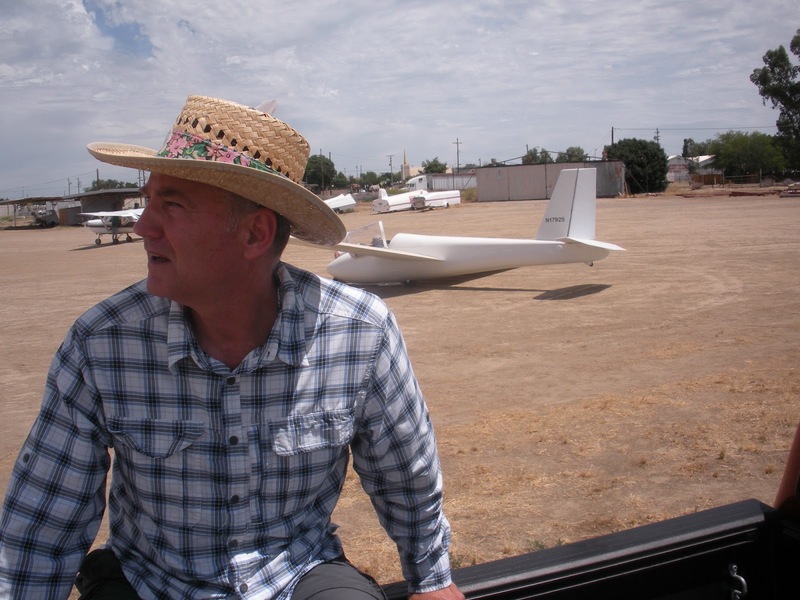 Opps, he just spotted Peter Mersino landing the towplane on runway 31L. Rick and Melissa about to embark on her first adventure in motorless flight. The cloud forms were a painters sky with Rick and Melissa on tow against that backdrop. This is the picture Melissa should print and frame as her first glider ride against those cloud forms. Clark Woolf in sink at the moment but this first flight was extensive and full of maneuvers. 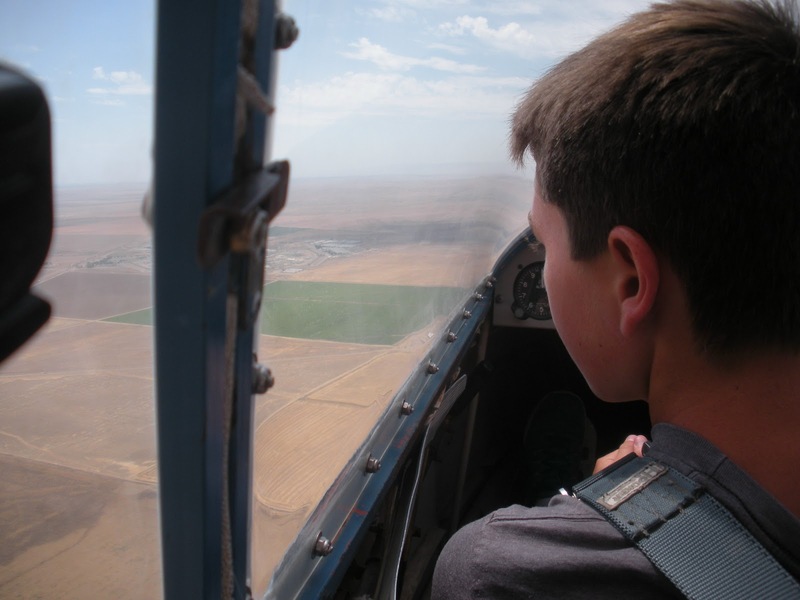 Clark's second flight was only to pattern altitude practicing for his planned solo in July. Peter Sahlberg riding in the bed of his pickup while his daughter, Jamie, tows a glider to the launch area. 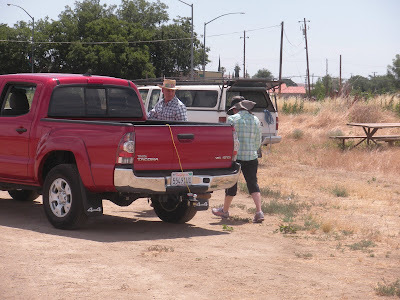 Peter and Jamie having fun together on a lovely, cool, day at Avenal. 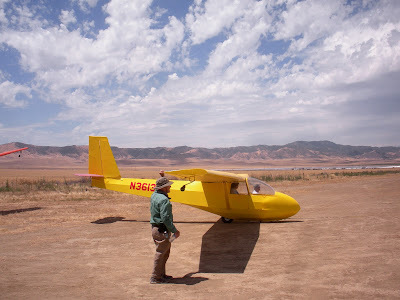 Rick Eason in the 1-26 unaware of the landing Big Bird on the runway to the west. 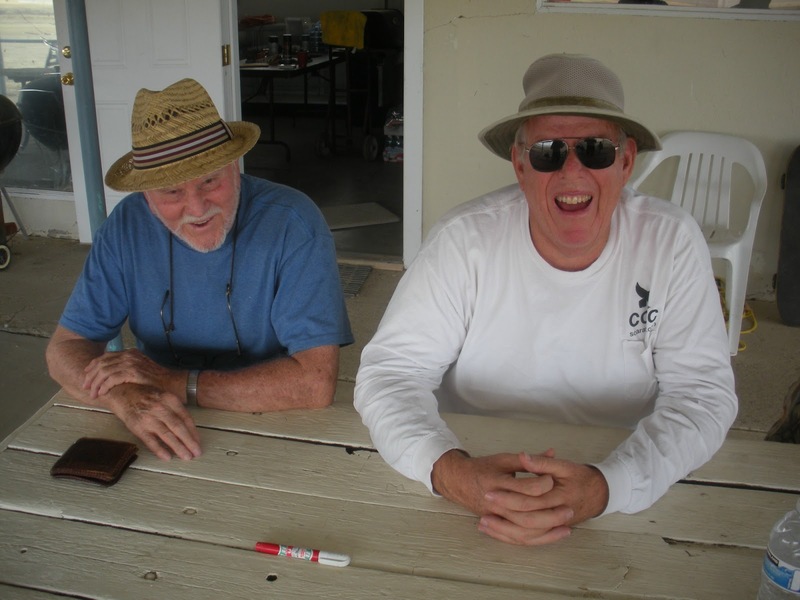 Now Rick Eason is ready to a few launches in the 1-26. He must have several dozen by now. 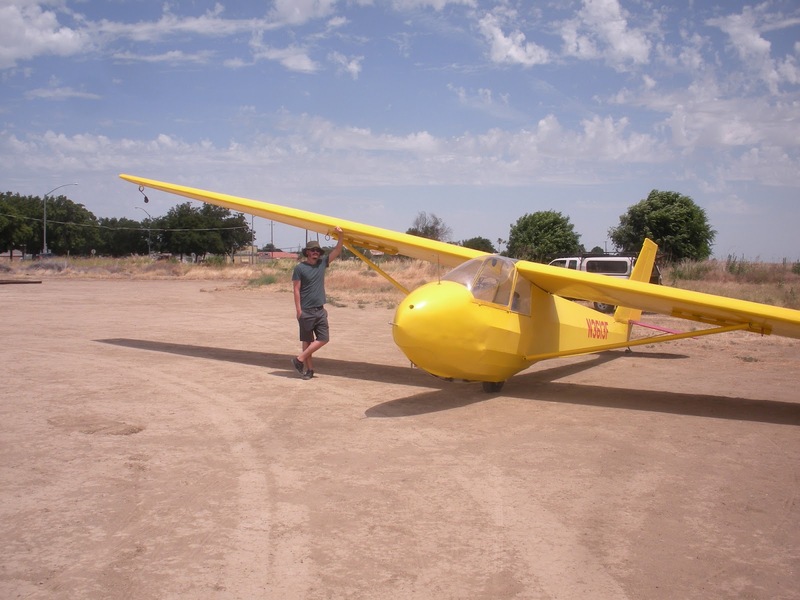 Andy Reistetter ready to fly Big Bird while Sergio Grajeda and Alex Caldwell standby. Sergio has joined Andy in Big Bird for a back seat view of soaring. Alex is running the wing. 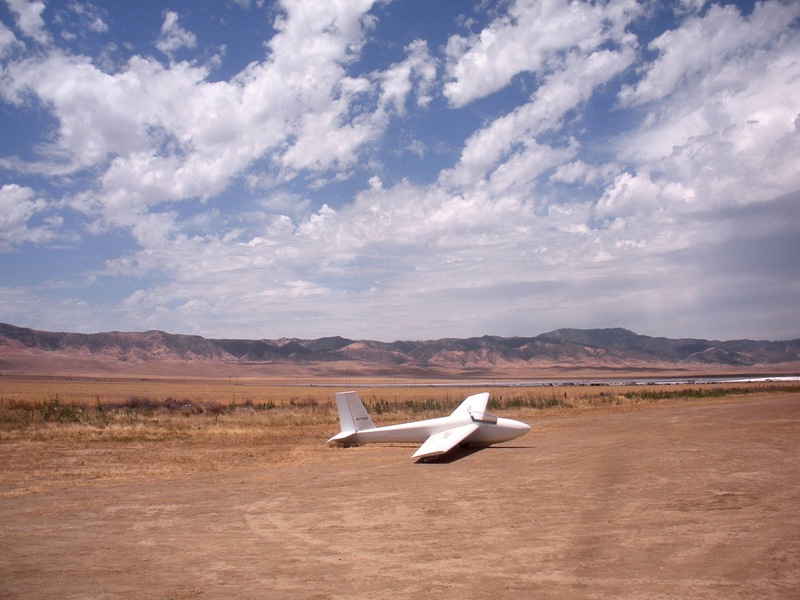 A lovely little sailplane and a beautiful sky. 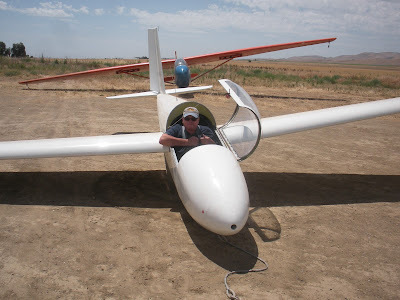 Ken Morrison about to launch on his first glider ride but maybe the beginning of his training. Ken worked hard trying to understand being on tow, and did very well thermaling for the first time. Berle Allison, and Jim Rickey enjoying the cool shade on the patio in mid-afternoon. Jamie Sahlberg enjoying a relaxing afternoon, well after her University final exams. Troy Wollman launching in the 1-26 prior to our checkride practice flights. 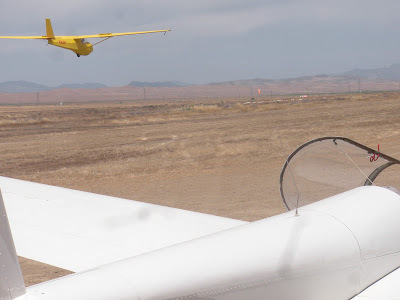 Troy in nice position on tow, staying low and adjusting for the right crosswind. Peter Mersino and I flew to Avenal from Fresno Chandler in his Cherokee 140. Joaquin Riviera walking the wing after his first flight of the day. Troy Wollman hooking up the Orange Crush for Sergio Grajeda. Sergio is ready to launch with Troy running the wing. Joaquin Riviera ready for one more flight and hopefully an improved towing experience. Joaquin now just about to launch for what turned out to be a most successful experience on tow. 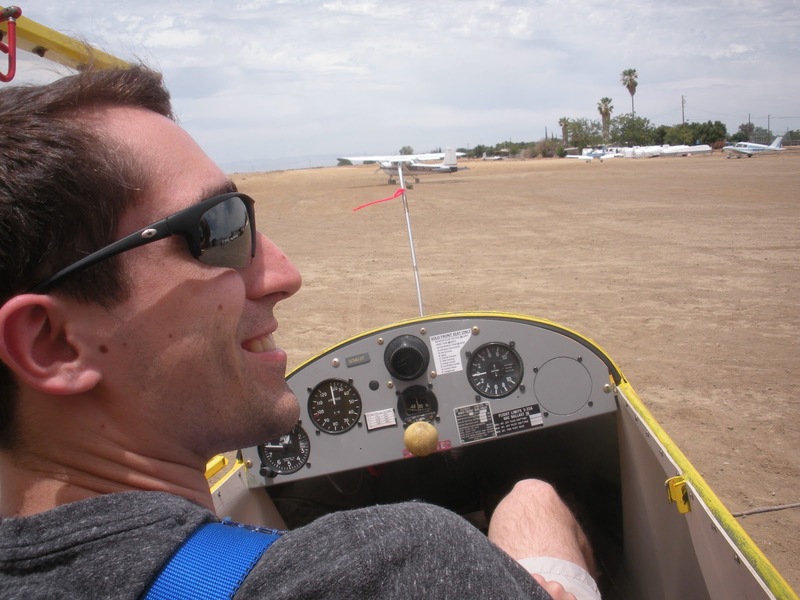 Alex Caldwell getting belted in for his demo flight with Berle Allison. Troy Wollman ready for a practice checkride in prep for his June 27th date with Dan Gudgel. 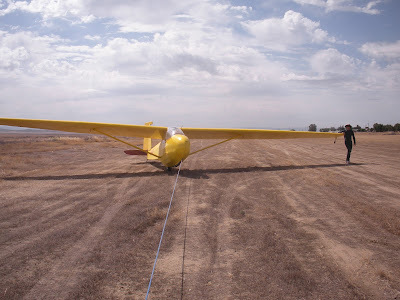 Troy walking Big Bird back and this next flight will be a simulated rope break at 300 agl landing on runway 7. 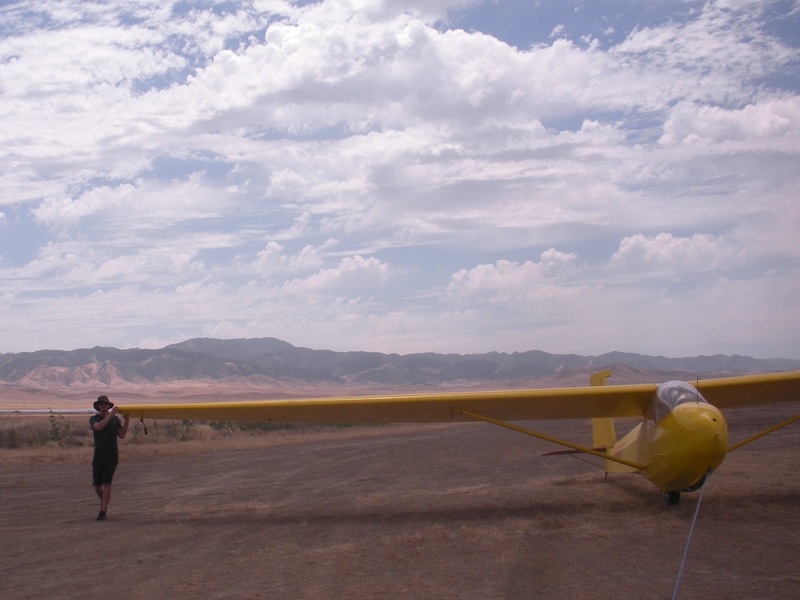 Jim Rickey waited most of the day and when everyone else had finished he chose the 1-26 for his flight. Ariana Riviera waited patiently for Joaquin to finish his two training flights. Her lovely presence was appreciated by all. 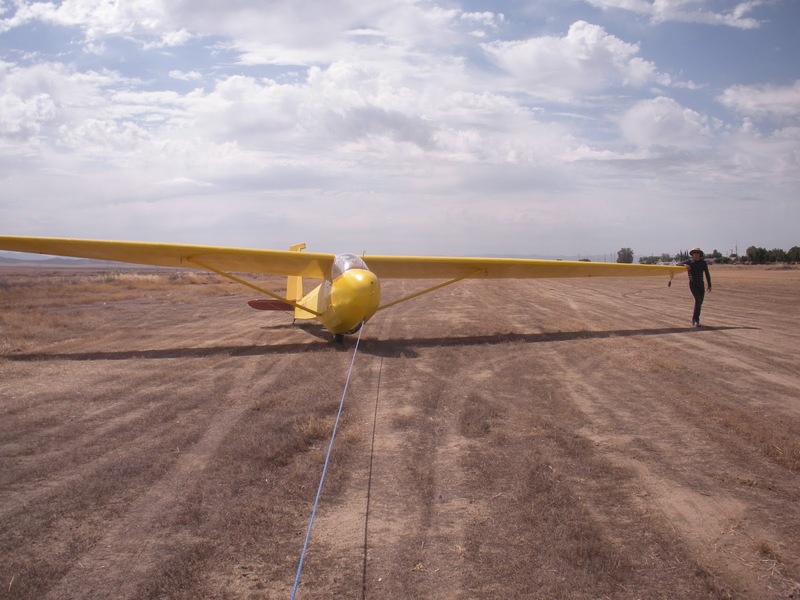 Most of the gliders were tied down by 5:30 pm and the tow plane put away for the night. Peter Mersino plans on returning tomorrow to tow for anyone signed up for the day.